Ljubljana, long overlooked by American travelers in favor of adjacent European capitals like Vienna and Budapest, is now a city on the rise. Visitors only need a few moments to walk the pedestrian-only streets in the city center to feel the old-world historic charm, coupled with the youthful energy exuding from the local university population. 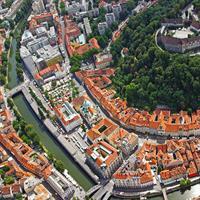 Beautiful and vibrant, travelers will quickly learn that Ljubljana has a lot to offer to all who visit. You can sip a cup of coffee and enjoy live music in the Metelkova mesto commune, sail lazily along the winding Ljubljanica River, browse art galleries and take in a ballet, all within walking distance from each other. Ljubljana Castle, Ljubljanica River, Metelkova mesto, Cathedral of St. Nicholas, Triple Bridge, Butchers` Bridge, Cobblers` Bridge, Congress Square, Preseren Square, Slovenska cesta, Mount Saint Mary, Tivoli Park, and so much more! Slovenia has a majestic beauty nearly unmatched anywhere in Europe. This escorted motor coach tour will travel to favorites Ljubljana, Postojna, Piran, Goriska Brda, Soca Valley, Bled and Bohinj. Combine Slovenia`s captivating Capital city, Ljubljana (known for its university population and green spaces, including expansive Tivoli Park), and the stunning Lake Bled (surrounded by mountains and forests, with the Medieval Bled Castle rising above the lake on the north shore); admire the country`s dreamy scenery from the train which connects you these fabulous destinations! This is a flexible vacation package. Select your number of nights in each city, desired hotel and activities. Combine Italy and Slovenia with an exclusive vacation package to some of the most popular cities in Europe! Rome (Italy`s treasure, ripe with history, quaint alleys and centuries of achievement in the arts) will steal your breath before you take the train and observe the charming countryside en route to Florence (Michelangelo`s David, Botticelli`s Birth of Venus, and Raphael`s La Velata) and Venice (with sumptuous palaces and dreamy waterways). Lastly enjoy the trip by train to Ljubljana (known for its university population and green spaces, including expansive Tivoli Park). This is a flexible vacation package. Select your number of nights in each city, desired hotel and activities. An inspiring combination of favorite cities across Europe. Begin your vacation adventure in Ljubljana (known for its university population and green spaces, including expansive Tivoli Park.) and lastly, take the train to fabulous Split (the second largest city of Croatia, known for its beaches and the fortresslike complex at its center, Diocletian`s Palace, erected by the Roman emperor in the 4th century. ), admiring the dreamy scenery from the train! This is a flexible vacation package. Select your number of nights in each city, desired hotel and activities. Europe is at your disposal with this customizable package. Start in Split (the second largest city of Croatia, known for its beaches and the fortresslike complex at its center, Diocletian`s Palace, erected by the Roman emperor in the 4th century.) and lastly, take the train to fabulous Ljubljana (known for its university population and green spaces, including expansive Tivoli Park. ), admiring the dreamy scenery from the train! This is a flexible vacation package. Select your number of nights in each city, desired hotel and activities. Italy, Slovenia and Croatia are ready to be explored with this customizable package. Begin your adventure in Zagreb (a vibrant destination with modern shops and fascinating museums.) then take a train to Ljubljana (the stunning capital of Slovenia, full of green spaces) and finally journey through Italy starting with Venice (the romantic city set on canals, the backdrop for Edgar Allen Poe`s tale The Cask of Amontillado) then take a train to Florence and finally hop a train to Rome (Italy`s treasure with centuries of achievement in the arts, quaint streets and unbelievable food). This is a flexible vacation package. Select your number of nights in each city, desired hotel and activities. Europe is ready to be explored with this customizable package featuring five of Europe`s unforgettable cities. Begin in Dubrovnik (known as the `Pearl of the Adriatic` for its stunning beauty) and take a ferry to Split (a picturesque town with a lovely castle, cathedral and a few very interesting museums) then take a train to Zagreb take a another train to Ljubljana and finally take a train to Italy and see Venice (the romantic city set on canals, the backdrop for Edgar Allen Poe`s tale The Cask of Amontillado). This is a flexible vacation package. Select your number of nights in each city, desired hotel and activities. Ferries/hydrofoils for the Islands only operate between May 23nd and September 9th due to weather conditions. An inspiring combination of Slovenia`s largest cities; the capital Ljubljana (known for its university population and green spaces, including expansive Tivoli Park) and beautiful, provincial Maribor (a city set amid wine region hills on the Drava River, with its Old Town, Maribor Castle houses and a prominent ski resort to the southwest), admiring the dreamy scenery from the train! This is a flexible vacation package. Select your number of nights in each city, desired hotel and activities. Our self-drive packages are some of our most popular, providing total autonomy! With this itinerary, you will stay in beautiful Zagreb, then pick up your car to head to Ljubljana (the stunning capital of Slovenia, full of green spaces) and Zadar. Return your car upon arrival in Split (a lovely seaside city full of history and charm; the city is so compact you won`t need a car!). This is a flexible vacation package. Select your number of nights in each city, desired hotel, rental car and activities. 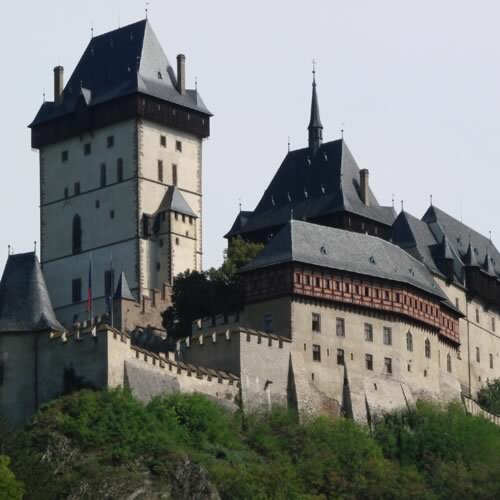 See a few of Europe`s beloved city`s in three different countries which include Czech Republic, Austria and Slovenia. Start this once in a life time adventure in Prague (`The City of a Hundred Spires` with 1,000 years of art and architecture) then hop a train to Vienna (City of music, cafes, waltzes, parks, pastries, and wine with stately streets and Baroque palaces) and then take a final train to Ljubljana (the stunning capital of Slovenia, full of green spaces) This is a flexible vacation package. Select your number of nights in each city, desired hotels and activities. Slovenia and Croatia are at your disposal with this unforgettable vacation package. Start in Zagreb (a vibrant destination with modern shops and fascinating museums.) and take a train to Split (the second largest city of Croatia, known for its beaches and the fortress like complex at its center, Diocletian`s Palace, erected by the Roman emperor in the 4th century.) and then take one more train to Ljubljana (known for its university population and green spaces, including expansive Tivoli Park). This is a flexible vacation package. Select your number of nights in each city, desired hotels and activities. 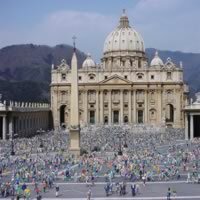 See the absolute best that Europe has to offer with this enticing vacation package! Begin your adventure in Prague (a stunning, diverse city with rich heritage); next is Vienna (the birthplace of Mozart; home of classical music and waltzes), Budapest (a dual city; Buda one side of the Danube, Pest on the other - both full of interest, monuments and glimpses of history), Zagreb (the City of museums; the cultural, political, social and economic center of Croatia), Ljubljana (Slovenia`s leading city; an important center of influence), Venice (the charming canal city, a romantic destination), Lucerne (a lovely city of covered bridges, frescoed houses, cobblestone streets and glorious fountains) and Munich (a stunning city of museums, historical sights, theater, food and fun). Travel between these cities by very convenient train rides which allow you an opportunity to observe the lovely country side. This is a flexible vacation package. Select your number of nights in each city, desired hotel and activities. Slovenia is a compact country, perfect for exploring in a rental car! Discover the rich wine and culinary tradition in the capital Ljubljana (a youthful vibrant city of green spaces, delicious food, and rich history), the breathtaking Lasko Valley (known for its wine production and relaxed way of life) and provincial Maribor (another charming city set amid wine region hills on the Drava River; it entices with its Old Town, castle, and friendly faces). This is a flexible vacation package. Select your number of nights in each city, desired hotel, rental car and activities. Journey through Croatia, visiting four of its most memorable cities with this customizable package. Begin in Zagreb (a vibrant destination with modern shops and fascinating museums) and then drive to Maribor and continue to Ljubljana and then finally continue to Lasko Valley and finally back to Zagreb to fly out. This is a flexible vacation package. Select your number of nights in each city, desired hotels and activities. Explore three lovely countries through three beautiful cities, with nearly endless opportunities to experience culture, excitement, and beauty. This totally customizable vacation package to Europe begins in Zagreb (a vibrant city and the center of culture, science and economic advance, and history) and continues to Ljubljana (a stunning, `green,` capital city - perfect for walking or cycling, a haven for students who bring a youthful energy to this historic city!) and finally sumptuous Venice (set on glittering waterways, full of dazzling palaces and timeless art). This is a flexible vacation package. Select your number of nights in each city, desired hotel and activities. Have a once in a life time adventure, passing through Croatia and Slovenia, visiting two of their most treasured cities. Begin in Split (a lovely seaside city full of history and charm; the city is so compact you won`t need a car!) and then take a train to Zagreb (a vibrant destination with modern shops and fascinating museums.) then a train to Ljubljana (the stunning capital of Slovenia, full of green spaces) continuing on one more train to Lake Bled (surrounded by mountains and forests, with the Medieval Bled Castle rising above the lake on the north shore). Ending this trip with be a train from Lake Bled to Ljubljana to catch the out going flight. This is a flexible vacation package. Select your number of nights in each city, desired hotels and activities. Combine Vienna, Ljubjana, Zagreb and Budapest with the EC Train. Three beautiful cities, three opportunities to experience culture, excitement, and beauty with this totally customizable vacation package to Europe: Venice (set on glittering waterways, full of sumptuous palaces and timeless art); Zagreb (a vibrant city and the center of culture, science and economic advance, and history); Ljubljana (a beautiful, `green,` capital city - perfect for walking or cycling, a haven for students who bring a youthful energy to this historic city!). This is a flexible vacation package. Select your number of nights in each city, desired hotel and activities. Italy, Slovenia and Croatia are ready to be explored with this customizable package. Begin your adventure in Venice (the romantic city set on canals, the backdrop for Edgar Allen Poe`s tale The Cask of Amontillado) then take a train to Ljubljana (the stunning capital of Slovenia, full of green spaces) and finally journey through Croatia starting with Split (known for its beaches and the fortress like complex at its center, Diocletian`s Palace, erected by the Roman emperor in the 4th century) and finally hop a train to Zagreb (a vibrant destination with modern shops and fascinating museums). This is a flexible vacation package. Select your number of nights in each city, desired hotel and activities. Travel between Croatia and Slovenia visiting three unforgettable cities with this customizable package. Begin in Zagreb (a vibrant destination with modern shops and fascinating museums.) and take a train to Ljubljana (known for its university population and green spaces, including expansive Tivoli Park), then take a train to Lake Bled (surrounded by mountains and forests, with the Medieval Bled Castle rising above the lake on the north shore) and then finally take a train back to Ljubljana. This is a flexible vacation package. Select your number of nights in each city, desired hotel and activities. Journey through three of Europes most astonishing countries, starting in Crotia and ending in Italy. Being this epic journey in Split (a lovely seaside city full of history and charm; the city is so compact you won`t need a car!) and then take a train to Zagreb (a vibrant destination with modern shops and fascinating museums.) then a train to Ljubljana (the stunning capital of Slovenia, full of green spaces) and take another train to Lake Bled (surrounded by mountains and forests, with the Medieval Bled Castle rising above the lake on the north shore). After take a train from Lake Bled back to Ljubljana in order to catch a train to Venice (the charming canal city; sumptuous palaces and incredible museums). This is a flexible vacation package. Select your number of nights in each city, desired hotels and activities. Second time in two years we have booked to Europe,both trips were perfect! Our coordinator, Ruby C, was helpful and did a great job with our hotel in Slovenia. We hope you will pass on our thanks.